Employee choice, user choice or choose your own device (CYOD) programs. Regardless of your vernacular, there’s a good chance a “Mac or PC” program has made its way inside your organization or is (loudly) knocking at the door. Today’s employee wants to use the device they are most familiar with; the one that they use on a daily basis at home. And a comfortable, happy employee yields big dividends for employers. In fact, 72 percent of employees are more productive, engaged and creative on their device of choice. With 3 out of 4 employees choosing Mac over PC to achieve their peak productivity when given the chance, it’s easy to see why Apple is growing its share in the enterprise. The employee choice movement is in full swing and certain to help organizations see the value of offering technology choice. Starting with their new Business and Employee Choice Guide for IT resources, Apple is making it easier to understand the benefits and explain how to implement a choice program. These resources also include quotes and supporting choice stats from some of the most recognizable names in the enterprise, including Capital One and IBM. Here at Jamf, we’ve been discussing choice for quite some time, and with the help of IBM, built out a total cost of ownership (TCO) comparison of Mac versus PC in the enterprise. Beyond the cost savings and greater residual value of Apple devices, employee retention counts rely on technology choice now more than ever. According to the Millennials at Work report from PWC, the majority of workers value what technology a prospective employer offers. 59 percent of those surveyed for the report said access to state-of-the-art technology was important when considering a job. To hire and retain the best talent, organizations must meet prospective and current employees where they are, and give them tools to be their most successful — or else they’ll walk to find someone else who will. 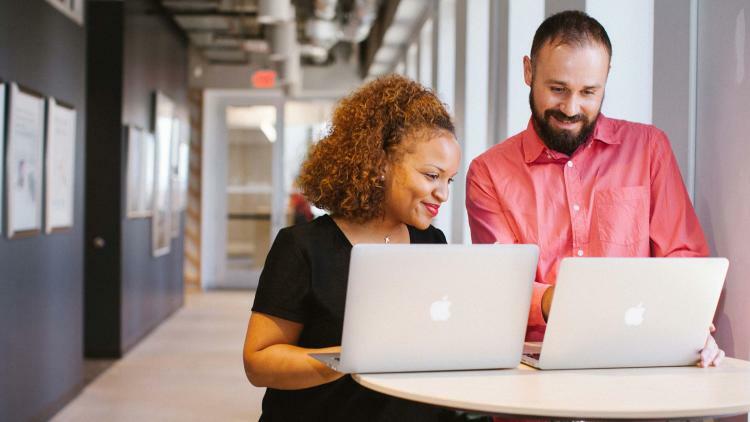 Listed by Apple as one of its preferred Mac management solutions, Jamf has a proven history of helping organizations large and small successfully roll out their choice programs, with not only employee engagement and retention in mind, but also IT efficiency and best practices. To help you achieve successful choice implementation and provide more information on what goes into a Mac choice program, we put together several resources of our own to educate you on the process. That’s option one. For option two, we can connect you with one of our choice program experts to answer your specific choice questions. Let me see that choice page. Put me through to a choice expert.